TGIF and a happy one it was for me! I just received my first ever "happy mail" from Paper Smooches! I have had my eye on a few sets/dies and finally ordered! I am so excited to ink them all up!! Oh my goodness, that was so clever to have the witch standing on the broom (instead of a banner element). Love it!! The texture in the background looks fantastic. Thanks for joining us Paper Smooches SPARKS! 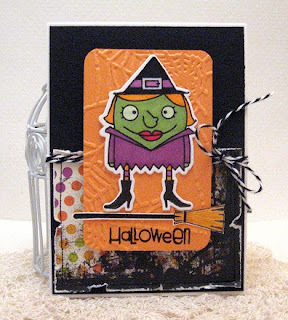 LOOOOOOOOOVE this card! I think that witch on the broom is tooooooo clever! FAB papers and design! 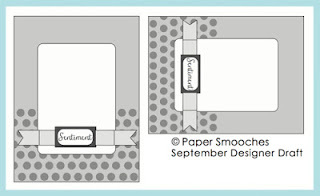 THANKS so much for joining in the fun with the Paper Smooches SPARKS team!!! Hope you play along with us again soon!! !